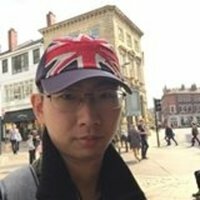 Ning - Southampton,Southampton : Pioneering, Innovative and Unique Methodology Guaranteed to Support You to Master Chinese in The Quickest Possible Time! 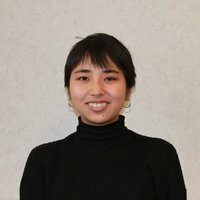 Pioneering, Innovative and Unique Methodology Guaranteed to Support You to Master Chinese in The Quickest Possible Time! 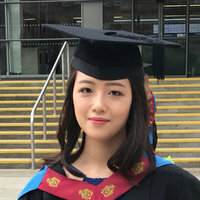 I’m a highly imaginative and skilful native-Chinese speaking tutor with excellent teaching abilities demonstrated by 10 years of language teaching experience as a university English teacher in China and freelance Chinese instructor in the UK. 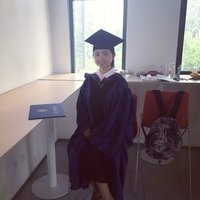 As a passionate and diligent Chinese language tutor, I love my job to bits and am 100% dedicated to assisting tutees in achieving their goals with great satisfaction and enjoyment. I enjoy helping the learners across all age ranges escalate their confidence and appetite for Chinese language and focusing on strategic and innovative teaching in order for the learners to reach the fullest potential and hit their targets in the QUICKEST possible time! Guarantee excellent mastery of Chinese pronunciation system, coupled with tricky tones; 300-400 highly frequently used words and 10 basic daily conversational scenarios. Support learners to elevate their scores from Fail/C to A/A*. Support learners to achieve A/ A* to pave their way for further university degree learning. Guarantee primary and efficient communication with Chinese business partners to build a strong working relationship and reflect an impressive corporate image. 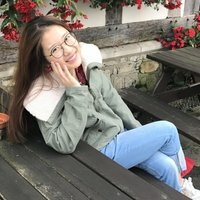 Support learners to grasp 40-50 Chinese words within 2 hours (perfect for exam takers with the limited timescale; I have developed this unique teaching technique to ensure learners can master 40-50 Chinese words/characters at the end of a 2-hour session). To optimise the learners’ efficiency and effectiveness to achieve or excel their learning objectives, I apply a tailor-made strategic teaching programme. This programme is a method of planning and making decisions about how a course is delivered depending on a student's age, personality, background, learning pattern, learning goal, teaching materials, tools and technology facilities. Once these facts are assessed, I will be able to map out learning content, lesson structures, teaching methodology and assessment methods, etc. My customised blueprints are not rigid but always handy to make adequate alterations to perfectly accommodate the learner's needs all the time. I frequently seek feedback and comments to ameliorate the programme. Utilising strategic teaching plans will unambiguously pin down learning aims, stages, execution methods and timescales, etc. so that I will be able to provide all the learners with robust and constructive support in achieving their objectives in the shortest possible time. Each learner is individual and receives and processes knowledge in a unique way, so I execute diverse teaching skills and techniques to different individuals. To demonstrate my theory, I roughly break learners down into kid and adult ones. Kids have a fairly narrow attention span but are attracted to games, stories, songs and rhymes, so interacting activities equivalent will be brought into class. Then I’ll be able to let words and sentences flow and sink in more easily and naturally and keep the children fully focused and engaged. Colourful flashcards are fun and useful. After guidance and demonstration, I encourage the young learners to creatively produce their own phrases and simple sentences. The youngsters enjoy it and do great work. To keep adult learners motivated and inspired, I encourage and assist them to be the person taking charge of class and support them to take on a multitude of thinking and communicative drills after theoretical information and knowledge are instructed and comprehended. I intentionally guide the students to manipulate the target language in the way daily activities and familiar surroundings are fully employed as resources of language. It stirs inquisitiveness and the learners yearn to build sentences that portray moments of their real life. 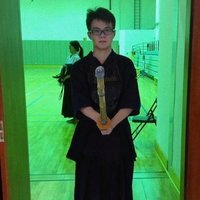 One of our best tutors! High-quality profile, qualifications verified and response guaranteed. Ning will plan your first lesson with care. 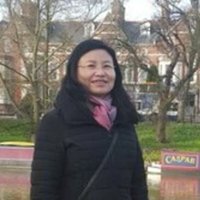 I officially began teaching Chinese in 2010 in the UK, and have supported a large variety of learners in meeting their academic, business, work and personal requirements. Over the years, I have gained oceans of experience and skills in inspiring and encouraging the learners in Chinese and felt profusely proud of those who had achieved top scores in academic exams, dealt confidently with China-based business clients or gained the edge over the rest of the colleagues at work. With M.A. in English Language from Xi’an University of Foreign Languages, China and B.A. in English Language Education in Shaanxi Teacher’s University, China, I taught English as a second language in a Chinese university and was rewarded as an Excellent Teacher. 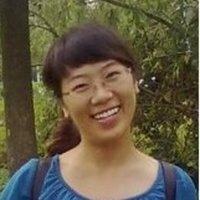 I was employed in international companies during 2012-2015 as translator, China Business Development manager and consultant. I have successfully assisted an industry-leading shipping company in cracking open the China market, set up a Beijing representative office, creatively promoted and monitored the company’s brand in China, negotiated contract deals with Chinese companies and instructed company staff in Chinese business culture and etiquette. 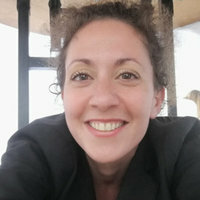 Based in Southampton, I am interested in writing, travelling, interior design, cooking and learning to play the piano. If it wasn't for Ning and her constant support and patience, I would have probably given up on learning Chinese at university! I have gone from not being able to string a Chinese sentence together to achieving a 2:1 on my final exam, all in the space of 6 months. Ning rekindled my love of learning Chinese and she was friendly and really easy to chat to, and I really enjoyed my lessons with her. She had loads of good ideas to help me learn. She worked really hard to help me do well. I got an A* on my reading and listening, an A on my writing and a B on my speaking. So overall, I got an A!!! Thank you so much for your time and patience, Ning. I'm over the moon with my results! 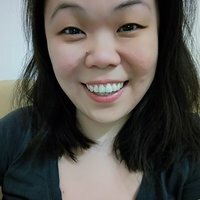 I have been studying mandarin with Ning for the past year. 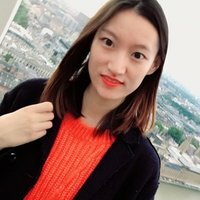 I am an advanced mandarin speaker having studied since 2007 - both in China and in the UK. I rate Ning's teaching extremely highly and would be delighted to recommend her to other fellow students... 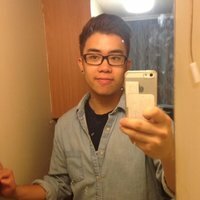 I've had approximately 10 mandarin tutors since I started learning mandarin and I rank Ning as one of the very best. If you're looking to learn about the Chinese language and culture, then you couldn't go far wrong. Holding the attention of my eight-year-old son for any length of time is a feat of Herculean proportion. How Ning manages to keep him focused for an hour is astonishing and highlights her remarkable gift for teaching. The lessons strike the perfect balance between being factual and fun, meaning my son happily sits down for his weekly session. I would highly recommend Ning. Ning is an exceptional tutor, I have made more progress in a few months than I had in years before she took me under her tutorage. She is methodical, yet flexible in her approach providing me with exactly what I need. There is always additional effort prior and after the lesson to produce specific materials and focus on areas of weakness which results in tangible, and speedy improvement which excels any expectations I had going in. ...I am finding my lessons an absolute delight! From a parent's point of view, our son looks forward to his lessons with Ning and is totally engaged during them. Ning has given him the confidence to communicate with Chinese speakers, when the opportunity arises. We are so proud of him, due to the fact that in a short period of time, Joe has been able to hold brief conversations in Chinese. Firstly, her lessons provide high teaching in all areas of Chinese: writing, reading, speaking and listening. Secondly, lessons are well prepared and grammar is clearly explained. 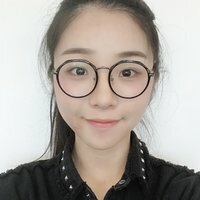 I would strongly recommend Chen Ning as a Mandarin tutor. She is kind, patient and excellent at teaching the subject. 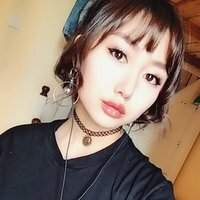 She is also very passionate about the Chinese language and makes you feel the same. 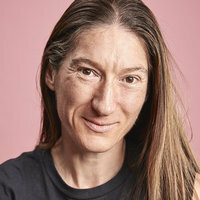 We feel lucky to have found Ning through a tutorial website. First, we had a trial lesson and our daughters instantly liked her style. She engages with them in a way that makes them feel she genuinely cares and adjusts her pace according to their needs. 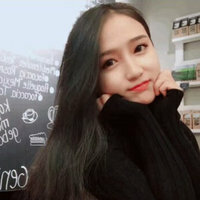 Ning is supportive, knows her subject very well and also explains to us, the parents, what needs to be done to support our daughters in their Mandarin learning... We would certainly recommend her to other students. We have had Ning come to our home and tutor our son for three weeks now. We have only praise for Ning who is very polite and turns up on time for all sessions. Our son really gets along well with her and he is learning at an appropriate speed. We hope that Ning will continue to tutor him for as long as possible as she is a real gem. Do you speak this language fluently because of your origins or because a teacher inspired you to learn? 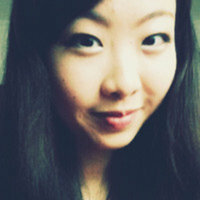 Ning — I speak Chinese language fluently as I was born in China and am a native Chinese speaker. Can you name a living, historical or fictional character that you think is the emblematic representative of the language's culture? Ning — As a teacher, thinker, philosopher and founder of Confucianism in 551-479 BC, Confucius, known as Kong Zi in the Chinese language, has been a household name in China throughout history and his teaching philosophy has exerted an everlasting impact upon Chinese tradition, culture and belief. Until today, his legacy still prevails and the Confucius Institute, named after him, has been established all over the world, aiming to teach non-Chinese speakers to learn and understand Chinese language and culture. Is there a typical word, phrase, tradition or behaviour in the language that you particularly like? Ning — One of my favourite Chinese sayings is ' 不入虎穴，焉得虎子' (bú rù hŭ xuè, yān dé hŭ zĭ), which can be literally translated as 'If you don't go into a tiger's den, you'll never catch her cubs.' This means 'nothing ventured, nothing gained'. Why does teaching this language matter to you? Ning — It becomes increasingly vital for people to be able to converse in Chinese as China is playing more and more of a significant role in global politics and economics. In my eyes, mastering Chinese will soon become an essential life skill like using a computer and driving a car because the whole world is attempting to get involved with China in all business sectors. Without a shadow of a doubt, being able to speak fluent Chinese with a standard accent would give people a strong edge over their schoolmates or colleagues, in their schooling, work or future career success. What is the main difficulty in learning Chinese and what can help the process of learning? Ning — Chinese language and European languages are worlds apart in respect to pronunciation principles and syntax for example. Therefore, mastering Chinese with an accurate accent would not be easy. To overcome the issue, I make sure from the very start that I constantly accentuate and stress word pronunciation of 5 varied tones, with meticulous effort to help students to precisely capture each tone by hearing and spot the differences between each one. As a result, they can achieve correct pronunciation based on their precise hearing. On top of that, I provide the students with the customised audio resources in line with the words they're learning so they can unmistakably imitate and practise outside of the classroom. As to Chinese grammatical structures, I apply the process of EXPLANATION - COMPARISON - PURPOSELY BUILT EXAMPLES - MISTAKE CORRECTION - REPETITION to help the learners build typical Chinese sentence structures step by step in their mind. Provide a valuable anecdote related to your language learning or your days at school. Ning — There is an amusing story about the necessity of learning the Chinese language, which was told by one of my ex-colleagues in an international company. An English businessman hailed a taxi on a busy street in Shanghai. The moment he jumped into the car, he tried to tell the driver he was going back to his hotel. But, unfortunately, the man and the taxi driver couldn't understand each other's language. Finally, the businessman had a brainwave and from his pocket, he took out a matchbox which had his hotel address printed on it. He handed the box over to the driver and kept pointing at it. The driver had a glance and seemed to understand the English man's intention, nodding his head with a grin. They both heaved a sigh of relief. A moment later, the driver pulled over his car right outside a matchbox factory, indicating their arrival at the destination. The English man was so gobsmacked and soon realised the driver misread him, with the assumption that he wished to go to the matchbox factory. How has travel or a specific trip helped you to increase your skill and knowledge in language learning and teaching? Ning — China has 56 ethnic groups, speaking as many as 80 different languages and dialects. Mandarin is an official and standard language and without it, communication between different ethnic groups or regions couldn't be materialised. Therefore, when I travel around China, I am always keen to pick up some local language in order to fully enjoy the place I visit. I find travelling to be a great help in improving my language skill as it means I learn and understand more about the language by seeing people use within their culture. This is turn may inspires me to carry on learning and growing as a tutor. What makes you a Superprof in language? 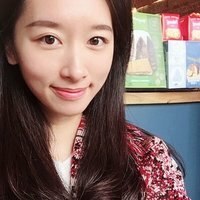 Ning — I'm 100% confident that as a professional teacher, I'm very capable of teaching Chinese to non-Chinese speakers very well. I have ten year's experience in teaching languages as a Chinese English teacher and a freelance Chinese instructor. 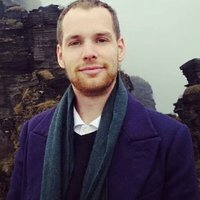 I've developed a unique and effective methodology to fully explore one's learning potential and capabilities, allowing learners to pick up the language very well within a short period of time. I tested this approach on a couple of my clients, and gained the satisfactory results. One tutee has achieved an A in her GCSE Chinese in August 2018 after learning with me for half a year, starting as a beginner. 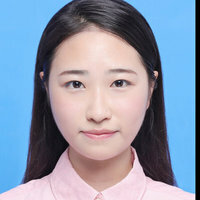 Another one has achieved 62/100 in her resit written exam at university after workin with me for less than 1.5 months. I look forward to applying this method to more tutees, letting more Chinese learners reap the benefits!